Not having a chambray shirt in my daughter's closet was bugging me a little, so I finally bought this shirt from babyGap toddler boys section. Why not? We all could use some menswear-inspired fashion. Paired it up with H&M stripes sweater with cute button details and black pants. Great layering idea too for the chilly days. These H&M houndstooth stretch pants are my favorite! They fit so perfectly, and the belt is simply adorable. In fact, this outfit is one of my favorite outfits for my daughter. 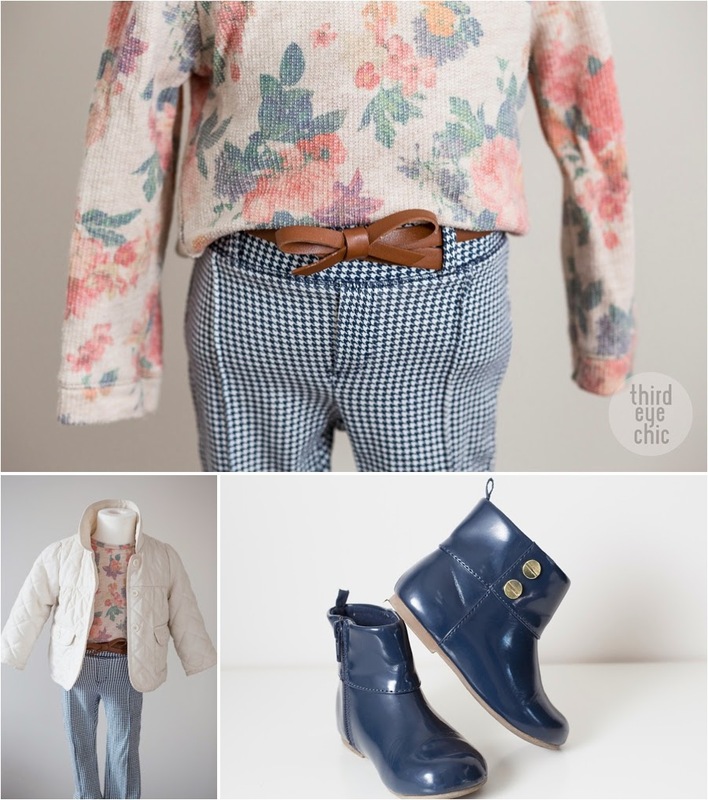 The floral Zara top in a different combination can be seen here. The blue Baby Gap boots can also be seen here. She wore this outfit to a mama-baby hot chocolate date to our favorite cafe a couple of days ago. Nothing speaks fall better than neutral tones, herringbone weave, and fur vest. Enjoy! Mama bought this jacket a few months ago in anticipation that it will fit me in fall just because she loved it so much. And, it does fit me perfectly now. I bought these blue boots this past weekend, and have been wearing them almost everyday since then. Aren't these so cute? Howdy, hope you all had a good weekend. I did. This is a simple outfit I wore to my day care last week. 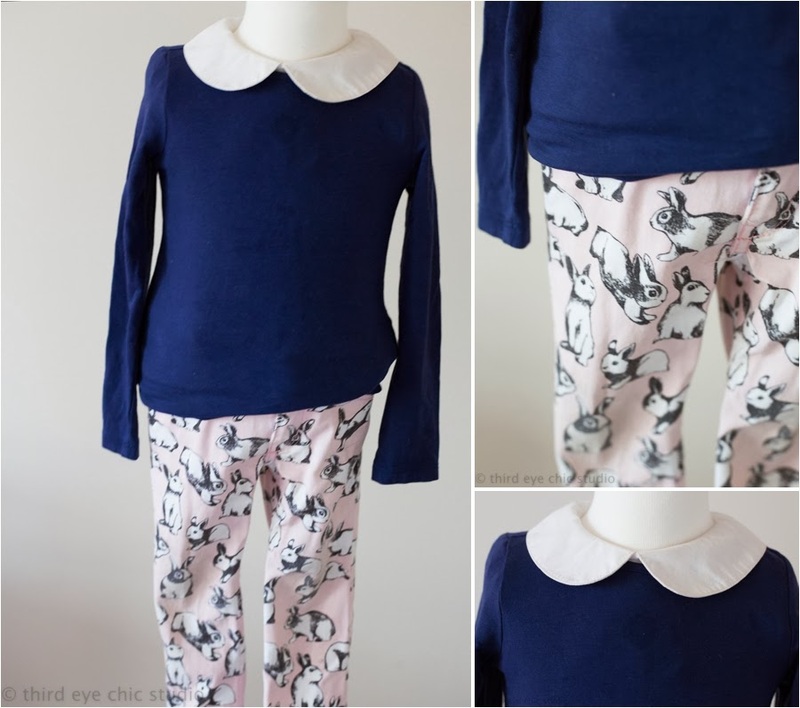 I balanced my bunny print pants with a plain top, and wore a layer of peter pan collar white top inside. I think I am on trend with my bunny print pants here, as I've been seeing this print around a lot lately.